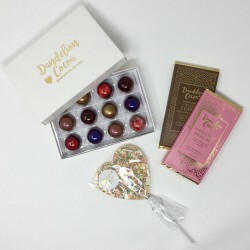 A stunning range of handmade fine chocolates. 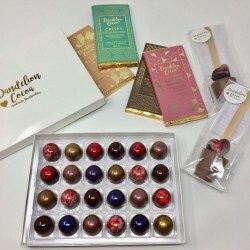 Dandelion Cocoa was founded by Sorrel, who handcrafts her chocolate with a strong emphasis on quality, with carefully picked ingredients and a wide range of single origin and different varieties of cocoa. 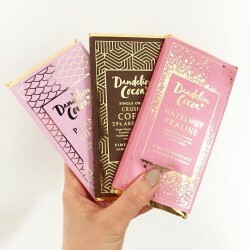 Her range of chocolate bars, truffles, hot chocolate stirrers, lollies and other goodies not only taste delicious, but look absolutely incredible too - nearly too good to eat! 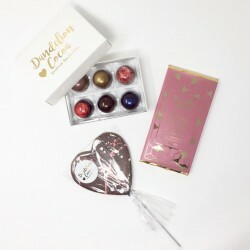 Sorrel uses cocoa butter to create unique colourful decoration on her chocolates, and they are then beautifully packaged and presented.